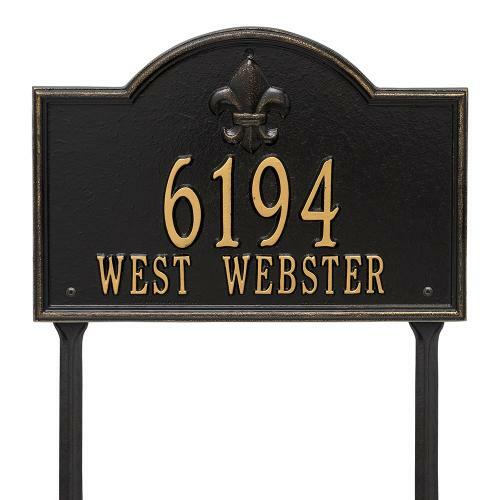 The fleur-de-lis emblem on this personalized address sign creates a distinctive style reminiscent of French Country and New Orleans. The Bayou Vista house numbers plaque will provide a boost to the curb appeal of your home. Home address plaques also make great gifts for any special occasion.